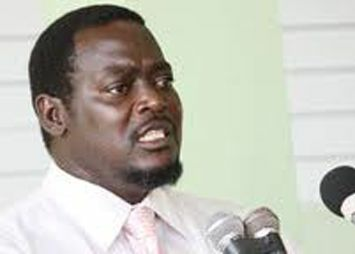 Terrence Ollivierre, Parliamentary Representative for the Southern Grenadines, speaking on the New Democratic Party (NDP) programme New Times on Wednesday, said that the news of the sale of 40 acres of land on the island, with the proceeds going to further the development of the international airport at Argyle, shocked him and his constituents. âThe people in Canouan at this point in time they are upset about what has been happening, and I am sure last Monday, you would have realized that when this issue first came to light, that I spoke on it and the people are very much up in arms about what is proposed to have happened, or in the pipeline, or whatever the case may be. âGenerally, over the yearsâ¦ people told me that they have applied for lands and they have been told that none is available; so, if no land is available to the locals, then where is the 40 acres of land coming from?â Ollivierre queried. According to Ollivierre, all that is known about the deal, is that the government of St Vincent and the Grenadines is set to receive US$53.6 million for the sale of land, but not much else had been told to them. He also raised concerns about the lease of a small island to the south of Canouan, without any details given to his constituents. ââ¦To whom, we donât know; how much money for the lease, we donât know. Is that in the 40 acres, we are not sure. Where in Canouan is this 40 acres of land to be sold, or is sold, or whatever the problem is; we donât know,â he said. However, Prime Minister Dr Ralph Gonsalves, in an interview with SEARCHLIGHT on Wednesday, said that the issue with Ollivierre and his supporters has nothing to do with lands. âThis is not about land, this is about the airport. Because Iâm building the airport. What shocked [Leader of the Opposition Arnhim] Eustace is when he got the document (the Supplementary Appropriation Bill for EC$208 million) in his hand and he saw that âThe Comradeâ put down in black and white where he getting the money. âI told the country that I need US $80 million and I told you that I know how I am going to raise it, but it had not been yet pinned down like in the way I have it pinned down now,â Gonsalves added. Gonsalves stated that during the Sir James Mitchell-led administration, 28 acres of land in Canouan was sold for US $1 million, and that Sir James had personally sold close to three acres of land on that island for US $3.2 million to developer Antonio Saladino. The Prime Minister also referred to US$15 million which was borrowed by the government at commercial rates to extend the jetport at Canouan. He said this money is being repaid by all the taxpayers of St Vincent and the Grenadines.